Google+ has been around awhile now and they just recently made some changes and improvements that significantly impact how you approach your website’s online strategy. 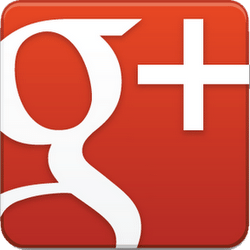 Google+ is a platform that includes a variety of options that if you chose to use, can improve the visibility of your website. You can think of G+ (yes, that is how people are now referring to it) as a combination of SEO and Social Media with a strong influence over Local SEO. You can also think of it as Google’s answer to a ramped up Facebook, limited video conferencing, Google Local Business Pages and Online Branding. I don’t know if that is really how it started but G+ has been a long time coming. I do know that since Google is so popular, we are at Google’s ever changing mercy and I think that is what we need to embrace. We need to embrace the concept that we are all hanging our branding and our marketing resources on a platform that we have very little control over. Luckily for us, Google has to apply for patents when they have an algorithm change. Otherwise there would be no SEO educated guessing. We bob and weave around Google’s whimsy and I for one, as an SEO, enjoy the challenge of it all. I am thrilled when I can get a website ranked high for 40 different keyword phrases. I am thrilled when my clients call me and tell me they got 10 new clients last week or that they get one lead a day from the work I did on their website. It is difficult to compare other social media platforms to Google + because with G+ you are really not comparing apples to oranges, you are comparing apples to a basket full of fruit. Yes you can mini-blog just like Facebook but unlike Facebook, with G+ you can put all the people you want to connect with into neat little groups called circles. You can even create your own circle categories. And like Linkedin, you can create a nice Business page with all the bells and whistles. Then there is the video conferencing which is most likely putting some web conferencing companies out of business. What Happened to My Google Local Business Page? One thing I really like about G+ is that you can create business pages and choose a category to put those business pages into. One of the categories is Local Business. This Local Business category is what creates the Google Maps. What most people are confused about is where their Google Local Business page went when G+ made all of these changes. Well, guess what, Google just turned all of the Google Local Business pages into Google+ pages all in one fell swoop, just a couple of months ago. All of this this takes me back to when I was learning about the differences between Facebook and Linkedin. Facebook was supposed to be personal and Linkedin was supposed to be all about business. I was playing by those rules and then I started getting an influx of posting on my personal Facebook page from businesses my friends have. I also started getting people I hardly know asking me if they can Facebook me. It just felt like spamming. Actually it is spamming. I still keep my Facebook personal and my Linkedin connections are all about business. Google came up with a solution to this potential spamming problem by keeping all of your connections in nice neat little organized packages called circles. You have to try and rank in the “A” position in Maps because 42% of the searchers will click on that listing if Google Maps comes before the organic rankings for keywords you want to rank high for. No matter what business you are in, you will benefit in the way of visibility if you build your G+ circles and post to them often. It’s like social media that benefits your SEO, if that makes sense. The mini-blogging posts are ranking and it appears that the more people you have in your circles, the higher the chances are of having a post show up somewhere on the first page. Google+ seems complicated so many people are having difficulty embracing it. However, just like everything else, once you learn about it, you learn how to utilize the services and benefit from the G+ platform. I took a 4 hour video course and I am glad I did it because I do see the value in all of the services it offers especially where it can help my clients who are mostly interested in local visibility. If you want to use Google+ like you do Facebook or Linkedin, you have to put the time in. Just like all Social Media, you will have to create and build your audience and then eventually sell to that audience. If you are truly helpful when you are blogging your audience will become a loyal audience that keeps coming back. Being sincerely helpful when you are blogging is a frame of mind that all successful bloggers and social media experts exhibit. The most important thing to remember from this post if you are a local business is that you have to max out whatever you can on your Google+ Local Business page(s) so that you can rank high in the Google Maps. Remember also that Reviews on your G+ Local Business page is one of the most important factors when ranking high in Google Maps for local SEO. Reviews in general are also good for branding, higher click through and overall credibility.